It’s that time of year again – time to plan your holiday party! From the venue to the menu, planning your corporate holiday party can take a lot of time and effort, but it’s a great way to show employee appreciation and give everyone a chance to relax and celebrate. Chickie’s & Pete’s has some hosting tips to help make yours the best holiday party ever! The first item on the agenda is determining the date of the event. Once that’s out of the way, it’s time to decide whether you want the party to take place during the day or night. Want to ensure all employees are able to attend? Then having the party during the day is your best bet. On the other hand, throwing a party after hours will give your holiday soiree a completely different vibe. After you’ve planned when your party will take place, book your venue! If you have enough space, your office might be a cost-effective option. If your office is too small, you may want to consider renting out a customizable space. Now that you have decided on a venue, it’s time to talk about the best part of the party--the food! When it comes to food, it can get complicated due to people's diets and lifestyles. If your party is only a few hours long, you can serve simple appetizers and cocktails. If your party is on the lengthier side, be sure to offer more filling items on the menu. When it comes to choosing a catering service, opt for one that offers a buffet or samples of their signature options. From Crabfries and easy-to-eat Pete-zza, to delicious sandwiches and seafood, Chickie's and Pete's offers many options your guests will love. When planning your holiday party, it’s important to keep in mind your guest’s drink preferences. Chickie’s & Pete’s custom holiday packages offer multiple drink selection options for you and your guests! From alcoholic to non-alcoholic choices, there is something for everyone! Chickie’s & Pete’s loves to host holiday parties of all sizes. 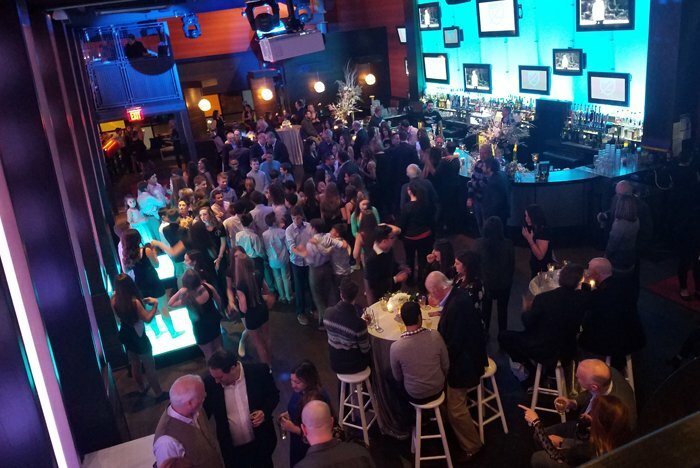 With 12 locations that offer customizable space to accommodate groups up to 1,000 guests, Chickie’s & Pete’s has you covered for all you upcoming holiday events!